Depending on where the customer is located, Nissan recommends its E-TS fluid or Power Steering Fluid Special for the ATTESA E-TS PRO system. Dexron-II-spec ATF is also recommended for some locations. Heavier viscosity fluids will deliver higher system pressures and quicker pressure ramp-ups. However, one must experiment at their own risk. The higher viscosity fluids may not have adequate pump flow in low temperature conditions. The higher viscosity fluids will also increase amperage draw on the pump. Fluids that meet the Nissan Matic-D spec are about 20-percent more viscous than the recommended fluid. 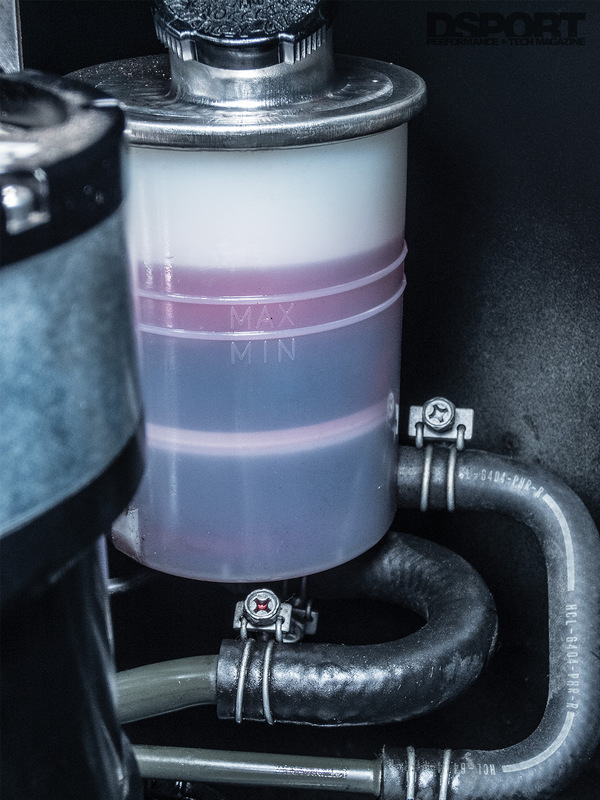 The ultra-high viscosity ATF fluids like the Type-F blends will increase viscosity and pressure by about 50 percent. 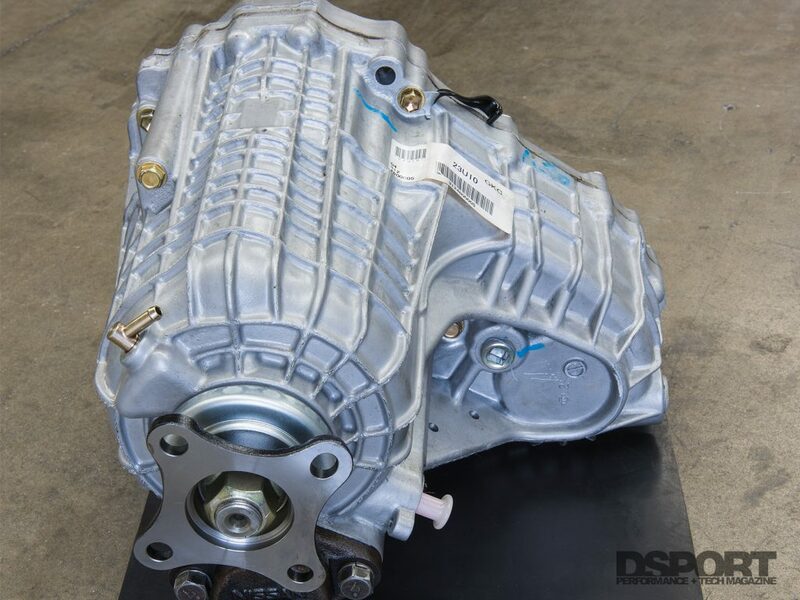 At the end of the day, the amount of pressure pushed into the transfer-case actuator directly effects the amount of torque transferred to the front wheels. Improving the system first requires a system without existing faults. A faulty pump, accumulator or solenoid needs to be addressed before any other upgrades or modifications are made to the system. A thorough system inspection should check all of the fuses and relays used in the ATTESA E-TS system. This should be followed by a complete flush and bleed of the hydraulic system. Using a slightly more viscous fluid like a Nissan Matic-D or equivalent should improve average system line pressures and ramp-up reaction times. The tradeoff will be additional current draw from the pump, so make sure all electrical connections are clean and corrosion free. 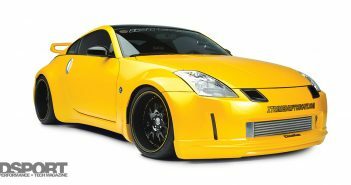 Before purchasing the parts that will allow you to upgrade the performance of the Nissan ATTESA system, one must consider the alternative of a complete stand-alone E-TS control solution. These solutions ditch the factory ATTESA ECUs for a modern controller. A stand-alone controller is also a good selection for those swapping the R32/R33/R34 GT-R AWD system in another vehicle. The Full-Race ETS PRO stand-alone controller is a popular option for those choosing a stand-alone. For R32 owners, the Full-Race ETS PRO is also a wise choice as the R32 factory ATTESA ECUs are the lowest performance of the OEM offerings. Also, considering the age of those vehicles, they may be at the end of their life cycle. 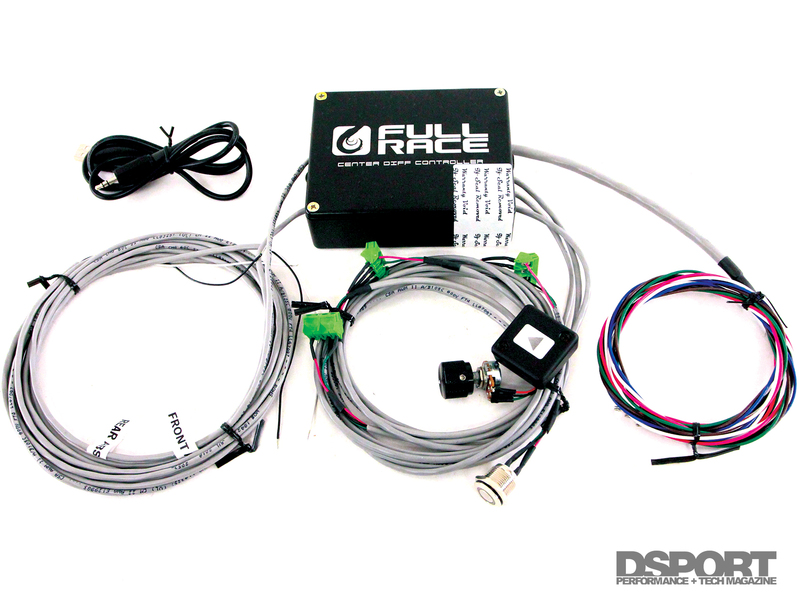 The Full-Race ETS Pro features a pretty simple installation on R32 GT-Rs (less than 10 wires). This system has its own built-in accelerometers (so failed OEM units do not need to be replaced). In addition to this acceleration information, the system also ties into the throttle position sensor (as does the OEM ATTESA) to work in both automatic or manual modes. The automatic modes vary the torque split based on closed-loop calculations. A manual mode allows the driver to dial in the exact amount of desired torque split on the fly. While the original version has served many successfully for a number of years, an optional wheel speed sensor upgrade can tie into the factory wheel speed sensors to use wheel slip as a factor in determining torque split. This is especially useful in high-output drag cars. The system runs $599.00 without the wheel speed inputs or $799.00 with these inputs. For R33 GT-R V-spec and R34 GT-R owners, improving the capabilities of the original ATTESA system may meet all of their needs. The simplest upgrade involves upgrading the aged, analog G-sensor located mid-ship in the vehicle to a new digital unit. While the digital unit is still restricted to outputting the same range of G values (-1.2G to +1.2G), it no longer has to waste time swinging from one value to the next. Hence, these digital sensors can let the ECU know that the vehicle accelerated from 0 to 1.0 G up to 30 times quicker than the analog sensor. Installation takes all of about 10 minutes and no cutting, splicing, or soldering is required. There are also +P versions of these sensors that cause these sensors to skew the values to the ECU for quicker response and more aggressive locking. Do-Luck Digital G sensor, Midori Sebi Digital G sensor (Blue=standard performance/Red=high performance) and the Tarzan GBox are simply different versions of the same basic digital G sensor. The difference between the units lies in the amount of skew built into the sensor output. We are currently using a Tarzan GBox, which delivers additional front torque output at low to medium accelerations. Most of these upgraded G sensors will run about $400. Considering a replacement factory unit is about a $1,000, these are a steal. 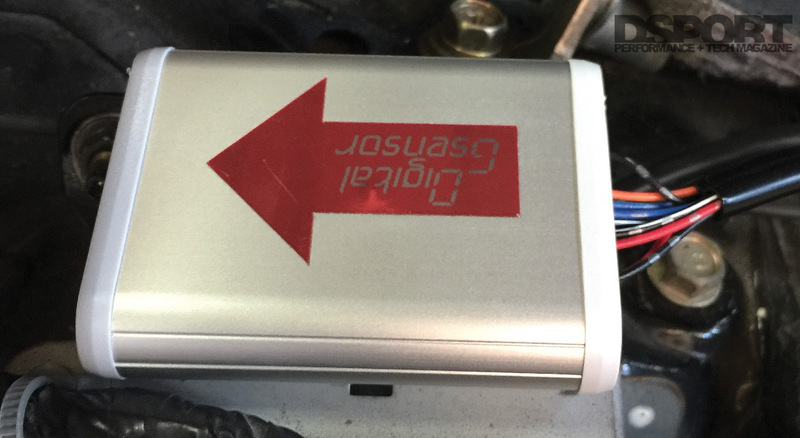 Here is the Tarzon GBox that we installed in our R33 GT-R to replace the aged OEM accelerometer. Not only does this digital sensor react faster, it also has a custom tuned output to improve the drivability of the vehicle. Do-Luck takes this approach one step further by offering a Torque Manager II control unit that interfaces with the Digital G sensor. Like other E-TS controller units, this device amplifies or attenuates the G sensor signals for the desired effect. Up to four modes can be programed for different usages. This controller adds about $300 to the cost of the digital sensor upgrade. A number of other E-TS controllers have been available in Japan for years. These include the Fields Boxer, HKS E-TS, GRID TS-Dancer 2 controller, among others. We’ve successfully used our Field’s Boxer controller for nearly 15 years now. The majority of controllers on the market don’t force higher peak torque values through the transfer case. Instead, these controllers and upgraded G sensors simply tweak the system into putting more torque output to the front more often. As you continue to increase the power output of your R32, R33 or R34 GT-R, you may run into a situation (as we have on many occasions) where there simply isn’t enough torque being transferred to the front wheels in order to maintain a proper balance. In these situations, the xfer case must be upgraded to increase the amount of torque it can handle. Grab these when you can. New ones run close to $3,000 when they can be found. Most used ones can be rebuilt to be be better than new with upgraded clutch configurations. The simple solution is to add a single clutch plate to the pack of clutches. This is pretty much a waste of time. 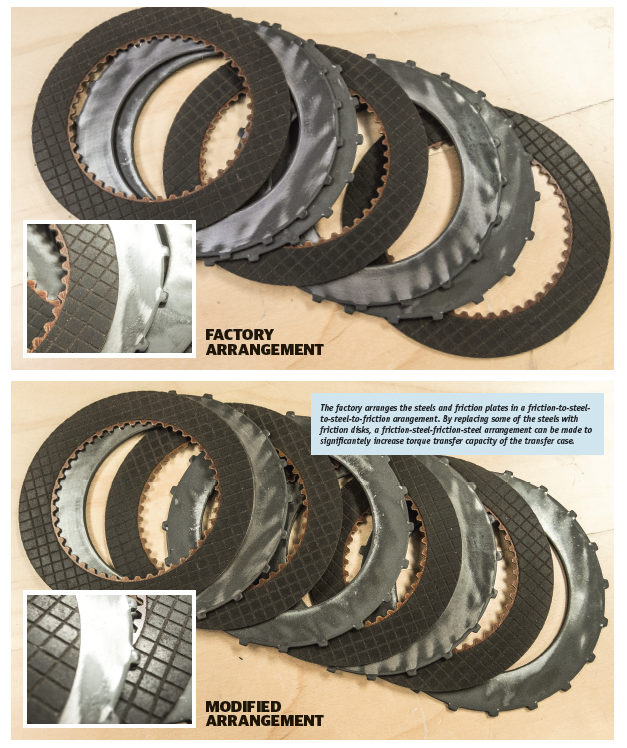 If you are going to spend the time upgrading the clutch pack, it makes more sense to change from the OEM friction-steel-steel-friction arrangement to a friction-steel-friction-steel configuration. This configuration will support torque output to about the 650-700 ft-lb range (and perhaps beyond based on the line pressures on the actuator). Once torque output exceeds the 500 lb-ft mark, the longevity of the factory front-differential comes into question. 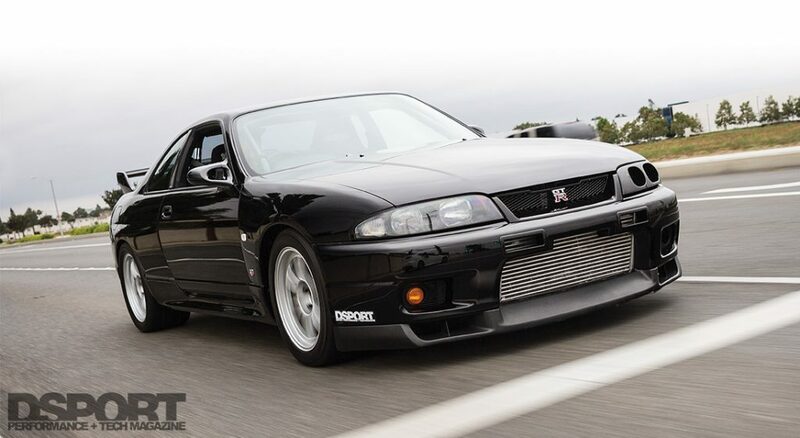 R32 GT-Rs are especially susceptible to failure, as they have only half the spider gears of the R33 and R34 GT-Rs. Since failure of the front differential can also result in a hole in the oil pan (which isn’t cheap to replace), do yourself a favor and upgrade the front differential whenever you’re freshening the engine. Best of all, this will allow you to have an LSD in the front differential. Before adding this, your GT-R is arguably a three-wheel drive vehicle. Once the transfer case and front differential are upgraded, a high-output engine will likely take out the driver’s side (right) front axle. The DriveShaftShop and a couple of JDM tuners offer upgrades to eliminate this weak link. 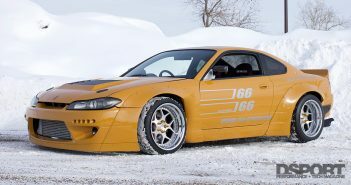 For whatever reason, many of the Japanese tuners only replace the driver’s side axle. Currently, we have a situation where our engine is making so much torque that we can’t seem to put enough of it to the front wheels, which causes us to lose traction in the rear. We will be looking at some possible upgrades to increase our peak line pressures on the actuator. Will it work? 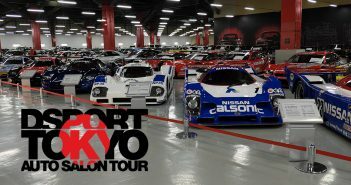 As long as you continue to support DSPORT with your subscription, you’ll be the first to know. A 1,600whp Supra is just about as quick as a 900whp Supra when both are on street tires. You can only accelerate so fast based on the amount of available grip. An AWD configuration can double the potential grip available for acceleration. When an AWD system features intelligent torque split technology, not only is acceleration improved, but handling can also be optimized. Looking at Nissan’s ATTESA system, we are provided with a great example of a simple yet effective system that has only changed slightly over the past 30 years. 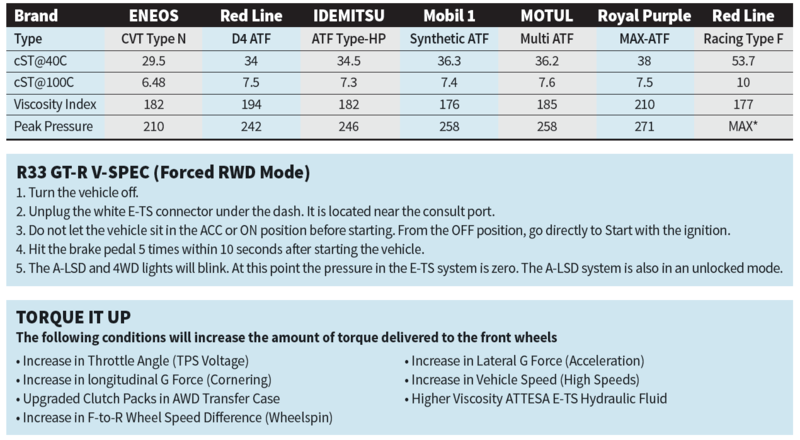 While CAN communication and dual clutches have taken the R35’s performance to new heights, much of the science behind the torque splitting technology remains the same.